Liquid Palisade is a liquid that quickly turns to rubbery latex as it dries. It can be used to protect the cuticles from nail polish and then simply peeled off for quick cleanup. 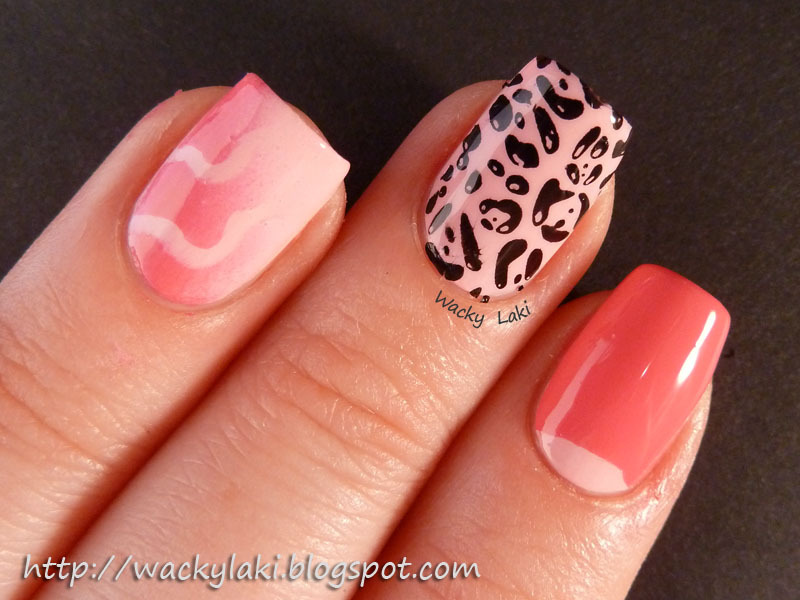 It can also be used for fun nail art instead of tape. The great thing about this is that it contours to the nail leaving no annoying gaps for polish to slip under as it can with tape. And the best part is that when dry, it can be gently pushed and shaped to the desired placement, in case you are not very steady with the brush! Water marble fans... hint, hint... cleanup doesn't get easier than this! Avoid if you have latex allergies! This stuff is PRICEY so I just wanted to share that it's the same product as Artist's Masking fluid, which you can get a huge jar of for a fraction of the price. This was a great demo of how well it works, though! Where can you get masking fluid. I've never heard of it. wow! seems like an amazing product! Would you pay $22.00 for this product? It looks neat but a bit pricey. Thank you for comments! It is a bit pricey at $22, but I think it is a great product and there is enough for quite a few manicures, at least 50 according to the manufacturer. It was on my list of things to buy and try before I was offered to review it, so yes, I was willing to pay for it at some point. I have never heard of Artist's Masking fluid so I can't make any comments or comparisons. I assume it can be found in an art supply store?? Also, not sure how safe it is for use on skin? Agreeing with other about masking fluid its also sometimes called artists reist. Also wanted to mention for anyone haveing issues with tape mani "seepage" try spoging on your color insted. Gives a nice crisp line though you may have to do two coats for opacity. I am a big fan of the look of tape mani' and was determined to make them easier, thats the best ive found yet. If you have trouble with scotch type tape check out hardware store painters tape as well. I will have to try sponging with tape! I've only done it when I am working with striping tape and creating a gradient. Makes sense though that it wouldn't seep! 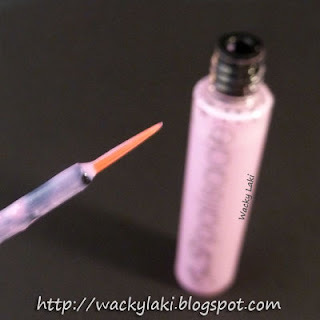 Is masking fluid safe to use on skin/nails? I would say Masking Fluid is safe to use on skin - because the ingredients are the same and because I've been using it for over a year now. Masking Fluid is made from Rubber, Water and Ammonia - which are the first three ingredients of Liquid Palisade. HOWEVER - and this is important to note - both of these contain natural rubber which if you have a latex allergy is a big no-no. Allison, thank you so much for the info! I will have to try to find some next time I'm at a craft/art store and to compare. Yes, definitely avoid with latex allergies!